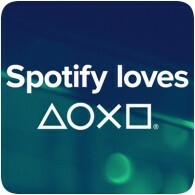 Sony has announced that it has partnered with Spotify to bring its digital music service to the PlayStation Network this spring, and will be launching in 41 markets around the world. The new app will be called Spotify on PlayStation Music and will give you access to Spotify’s 30 million song catalogue. The app will also be usable during gameplay, letting you soundtrack your gaming sessions. For a limited time, eligible PlayStation 3 owners can try out a free 180-day Basic subscription of Music Unlimited powered by Qriocity for free! That means that you have 6 months to check out the service and listen to 7 million tracks before you decide to sign up for a full subscription. Today at IFA 2010 in Berlin, Sony announced that Music Unlimited Powered by Qriocity, a cloud-based digital music service, will be coming to PlayStation 3 later this year. The service will give you access to millions of songs that are stored and synchronised through the cloud and can be accessed via a range of Sony devices, with one single account and without the need to manage digital files. Looking forward to the VidZone service from Sony? GameSpot had the chance to try out the new service before general release (see below). In short, the service will only support SD content and will only allow you to stream content (you won’t be able to save any videos to the hard drive). The service will be free and will be supported through advertising. You will find various advertising banners throughout the application. You will be able to launch the VidZone service directly from the XMB under the [Music] menu. VidZone is coming soon to PLAYSTATION 3 this summer, bringing thousands of streaming music videos to watch whenever you want, completely free of charge. All you have to do is download the VidZone music video application from PlayStation Store, free of charge, and access the service via the icon that appears under [Music] on the PS3 Home Menu (XMB). That’s all you have to do to get free, unlimited access to thousands of music videos, with many more coming in regular updates.